The PDP urged the government to review its decision of holding these elections at this juncture. Srinagar: Shrugging off the decision of Jammu and Kashmir’s two major parties, the National Conference and the Peoples’ Democratic Party, to stay away from the coming rural and urban bodies’ elections, the state government said Monday that the democratic exercise will be held as per schedule. “Panchayat polls are on... (urban) local bodies elections are on. A decision was taken in July. The voter list drafts for both these have been printed. It is already final. The delimitation reservation of the constituencies has been done,” state chief secretary B.V.R. Subrahmanyam told reporters during a visit to south Kashmir. Earlier on Monday, former chief minister and PDP president Mehbooba Mufti announced the party’s decision to boycott the panchayat as well as municipal elections at a press conference, citing the situation on the ground created by the government’s linking these polls with the Article 35A case pending before the Supreme Court, and apprehension among the people. 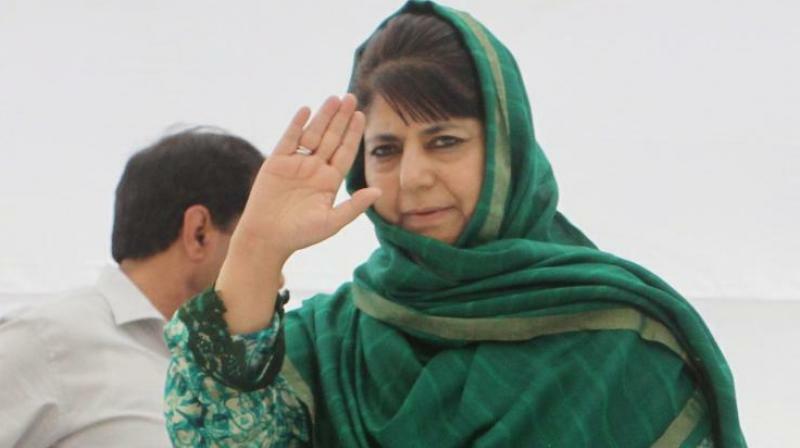 Reading from a statement, Ms Mufti said the PDP was “watching for some time the situation with concern and that after holding discussions at many levels it was noted with concern that the situation created by linking the local elections with the Article 35A case pending in the SC has created serious apprehensions in the minds of the people who genuinely see it as an assault on the special constitutional position of the state”. She said the party felt that while the special position of the state “is a matter of survival for its people and society, the democratic system is its sustenance”. She, however, also said that any attempt “to impose any electoral exercise in the current atmosphere of fear and apprehension would seriously erode the credibility of the process and the institutions and defeat the purpose of it”. The PDP urged the government to review its decision of holding these elections at this juncture “against the will of the people and instead focus on confidence-building-measures, so that the state is assured of the inviolability of the constitutional guarantees that make it a special part of the Union of India”. PDP chief spokesman Rafi Ahmad Mir said it was a unanimous decision of the party leadership and the rank and file. “The party under the leadership of its president has taken a conscious decision to boycott these elections. This decision is in line with the will of the people and the prevailing political situation”. Last week the NC, the state’s oldest political party, too had announced it would stay away from these elections unless and until the Centre clears its position vis-à-vis Article 35A of the Constitution. It also said the situation is not conducive in the state for holding these elections. NC president and former chief minister Farooq Abdullah had said: “Our party will not participate in these elections unless and until the Government of India and the state government clarify their positions in this regard and take effective steps for protection of Article 35A in and outside the courts.” He had also said the decision of the state administration to hold these elections was taken in a “hurried manner” and without taking into consideration the prevailing situation “created by the powers that be by their unnecessarily fiddling with Article 35A”.